Call of Duty: Advanced Warfare is ranked in the 83rd percentile of games scored on OpenCritic. Call of Duty Advanced Warfare breathes fresh life into the franchise and will go down as one of the best games the franchise has ever produced. This sort of ridiculousness proves a good fit with Call Of Duty's metamorphosis. The removal of any meaningful ideology—however toxic it was when present—has diminished Call Of Duty to the level of pure fancy. It is, in other words, free to be silly. A high tech upgrade completely refreshes the tired Call of Duty formula. Witnessing Advanced Warfare in its gamesuit made from chopped-up pieces of better games, it's easy to picture the series as a Pinocchio aching to be a real boy, but the sympathy you feel in light of its efforts does little to quell your instinct to escape. Overall, the campaign is solid, if uninspiring. It didn't have any of the jawdropping moments of the first Modern Warfare, nor any spectacular set pieces. The shooting works well, you'll blast through it in about 6-8 hours, and then you'll put it away forever. On the single-player front, I'm still waiting for a new Call of Duty 4. Maybe I'm just too old and jaded. As sensory entertainment, "Advanced Warfare" is about as pleasant as licking a battery for eight hours while a crowd of angry men surround you and chant your name. As a parable about the dangers of corporatizing the military in the 21st Century, it feels like a massive failure. As an overall package, Call of Duty: Advanced Warfare is something that is really only going to appeal to those who want a decent online experience. The single player is barely worth bothering with, but the new additions that allow for some big gameplay changes are more than welcome in the multiplayer. Activision injects some much-needed fun into their cash cow's bones, but its brain is still paranoid and its heart still cold. It's still Call of Duty, but it's a fresh take on the formula and shows that Sledgehammer was a good choice to bring into the yearly rotation of Activision's biggest shooter. I'll be looking forward to seeing what they have to offer next time around. Call of Duty: Advanced Warfare is it's own unique game and does well in telling in a fantastic story that's well worth the experience. Multiplayer is entertaining as ever and controls remain fluid and responsive as set by it's own standard. Call of Duty: Advanced Warfare offers some of the biggest, and most interesting changes to the series since Modern Warfare, and promises hundreds of hours of fun in its fantastic multiplayer mode and gripping single-player campaign that's the best one in the series to date. Don't miss it. Advanced Warfare is faster and more focused than any Call of Duty before it. A lot of promises have been made with the latest in the long running Call of Duty series, much hope that we'll be in for something revolutionary in the FPS genre, while many expect more of the same. At the heart of Advanced Warfare is the exoskeleton and all of the possibilities it opens up, transforming the way that you get around amidst the futuristic setting. Yet it delivers on many more levels too, from a compelling story and cast of characters to the graphics and the vast array of options for multiplayer character and loadout customisation. Sledgehammer have shown that there's life in the long-running series yet, and thrown down the gauntlet to Treyarch and Infinity Ward. The first Call of Duty built for the current console generation, Advanced Warfare is a leap in the right direction for the series. The exoskeleton power doesn't change "everything," but it creates a fresh experience. One of the best Call of Duty games in a while, Advanced Warfare is a triumphant effort from Sledgehammer Games, whose storytelling nous and risk-taking in introducing the Exo pays off in spades. It's not the jaw-dropping reinvention that Call of Duty 4: Modern Warfare was back in 2007, but Call of Duty: Advanced Warfare is the shot in the arm the series needed. Sledgehammer Games has seen the future, and it works. In short, Advanced Warfare advances every single aspect of the already impressive Call of Duty series. Call of Duty: Advanced Warfare is the revitalization the Call of Duty series has needed for years. While previous games have attempted to freshen up the series with baby steps, Advanced Warfare takes a massive leap forward in every aspect. The exo suit gives players more options than running through the maps, adding untapped vertical potential to multiplayer. Advanced Warfare puts together the most compelling competitive online multiplayer package the series has seen in years. The same can't be said for campaign or co-op, but does it really matter? A genuinely compelling single player, coupled with the superb multiplayer means Advanced Warfare does enough to reignite anyone's interest in the series. If Call of Duty: Advanced Warfare's storytelling ambitions disappoint, the same can't be said of the upgrades to gameplay. In both campaign and multiplayer, the exoskeleton and other futuristic gadgetry breathe new life into a franchise that seemed increasingly trapped in the shadow of the original Modern Warfare. Call of Duty Advanced Warfare once again proves why this series is so popular and more importantly, it feels like a next-gen title with exceptional graphics and almost flawless gameplay. The story is brilliant and with the inclusion of Kevin Spacey, it's like you're the star of some Hollywood blockbuster movie and this is where the game shines, in single-player. Multiplayer is fun but cannot match the epic scale of the story of Call of Duty Advanced Warfare but even so, it's going to be a game that I'll be playing for quite some time. Advanced Warfare is the most exciting Call of Duty has been in years. To cap this all off, I'll address the "Exo Suit feels like Titanfall" thing mentioned at the start of the review. To the untrained eye, this may well be the case. Jumping up and boosting through a window to take down a player shooting from the other side of the room is possible in both of the games, but the key difference is this. Titanfall was designed like that from the ground up. Advanced Warfare has taken the core Call of Duty mechanics and enhanced them with these new fangled suits. They feel totally different, and frankly, who cares if they've taken an idea from another game and implemented it? That's what video games have been doing since day one, and although I doubt it's been ripped wholesale from Respawn's new baby, it's done more for Call of Duty than anything has done over the past 4 or 5 years. Considering how much I was down on the series as a whole, Advanced Warfare has turned me round on it. Maybe not quite to the level I used to, but it's done enough to get me back on side again. Call of Duty: Advanced Warfare isn't going to make people who hate the series suddenly take notice, but for those that have felt the franchise has been falling flat lately, it definitely re-energizes it. This is the Call of Duty game fans have been clamoring for, and I feel sorry for the team that has to try and top it next year. Call of Duty: Advanced Warfare offers a much more innovative take on the first-person shooter series than previous installments, but it's still shackled to the core recipe of forcing players to follow allies through set piece moments in the story campaign. The multiplayer offers a higher degree of innovation and it should certainly entertain quite a lot of fans who are open to trying the new mechanics. The question isn't if Sledgehammer succeeded in breathing new life into the Call of Duty franchise, it's more a point of how the franchise will cope in the future without them. Ultimately, Call of Duty: Advanced Warfare is one of the best iterations in the franchise, as it has found a way to reinvigorate its gameplay mechanics without deviating away from what has kept the series so strong over the years. Very little of the game feels lacking, as even though the story is standard fare for most military shooters, its presentation takes it quite far. Multiplayer is generally the heart and soul of FPS games like these, and even there Advanced Warfare keeps things fresh and with enough genuine content to keep players playing longer than ever before. Fans of the series will feel just at home with the new gameplay mechanics after a few rounds, and FPS fans who may be tired of the old formula will find about as drastic of a change as possible without the series losing its namesake. Overall, Call of Duty: Advanced Warfare lives up to the franchise's expectations. It looks, feels, and plays like a CoD game, and there's been quite a few additions to make Halo fans like me interested. They've done some work to make the game more welcoming to newcomers, and a lot of detail has gone into the single player campaign to make it as cinematic as a summer blockbuster. And despite a few hiccups, it plays a lot like one. If you already like Call of Duty, and you're a Halo fan to boot- you won't be disappointed by this installment in the series. So that's my final opinion on Call of Duty: Advanced Warfare. The single-player is phenomenal, and the multiplayer is good but limited by its own unlock system. I personally think the story alone is worth a purchase, and I hope that this becomes the mark of Sledgehammer Call of Duty titles in the future. Personally, I have played enough Call of Duty multiplayer already, heck, I have played enough first person shooter multiplayer in general, to know what I am getting in a multiplayer suite like this. Robot suits and double jumps and future weapons are all decently cool additions to the multiplayer formula, but a studio that is willing to criticize the U.S. government, capitalism, and global war culture in its story is a true rarity worthy of praise. Advanced Warfare is Call of Duty's true starting point for a new generation. The tech enhancements are an important evolution for the franchise, giving the online proceedings a necessary shot in the arm. The campaign is predictable but thrilling with enough exclusive tech tricks and set-pieces to make it a must-play. The co-op can sustain you for multiple hours, and it's hard to imagine playing Call of Duty multiplayer without an Exo-suit ever again. Sledgehammer has found fun in the future, and we can't wait to go back to it. The single-player campaign in Call of Duty Advanced Warfare is more engaging but it still makes some mistakes in the end with characters making decision and choices I felt were rushed or simply did not make sense. Technically speaking the game is the best Call of Duty to date and even the story issues can't detract from that. Coupled with the new multiplayer modes, both co-op and PvP, Call of Duty Advanced Warfare delivers on its purchase price. Sledgehammer Games does a great job with their first full go around of Call of Duty. Advanced Warfare features a campaign with an entertaining story, a deep multiplayer experience that is fast and on target, and a co-op experience that has small twists to keep it unique. They didn't reinvent the franchise with their first Call of Duty release, but they did produce something enjoyable. There is no question a big risk was taken with this year's game. Does this risk pay off? It sure does as Call of Duty: Advanced Warfare is about the most fun I have had playing a Call of Duty game in several years. Granted it remains very familiar but the leaps are significant and in the end pay off. Call of Duty: Advanced Warfare is worth your time. It delivers with its story, great acting, dialogue, the realistic facial animations, cool weapons of the future, and the welcome change in pacing from combat missions to stealth missions. I welcome the idea of using great actors like Spacey in a big-budget game, and I look forward to future versions of the game that marry Hollywood blockbuster actors with the blockbuster-style game play. Call of Duty: Advanced Warfare provides much needed change and variety to revitalize the franchise for the future. Advanced Warfare is COD par excellence, a premiere example of the game that's almost a genre unto itself. Its singleplayer is better than most in the franchise, and the multiplayer is probably the best yet. With gorgeous visuals and the best campaign seen in years, Advanced Warfare won't convince people that hate the franchise that it's good, but former fans should return to see how the franchise has progressed. Advanced Warfare creates the multiplayer shooter players have been craving for years. Inspired by the old guard and incorporating a host of new features, this is the new face and bright future of Call of Duty. Call of Duty: Advanced Warfare is a glorious return to form. 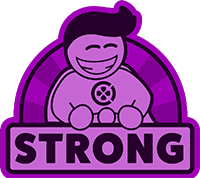 Now, that "form" still requires a bit of tweaking and honing but for the most part, this is a positive reemergence of a video game superpower. The production values are sky-high, the multiplayer will keep you coming back again and again, and above all else, this is Call of Duty with a twist. Sledgehammer's first full-time foray into a Call of Duty game is a success. Advanced Warfare has great ideas that were executed well that will leave the players pumping with adrenaline throughout the game. There are options all over the place -- asymmetrical multiplayer, open-world single-player, full narrative co-op, user-generated content, more use of vehicles off rails, grappling hooks in goddamned multiplayer... and so on. None of that is meant to lead you to believe this is a bad game -- it's the best Call of Duty since Modern Warfare and may in fact be better, but saying that isn't because it's changed the series' formula the way that game did, rather it's refined it. And maybe that's not the fault of any of the developers working on the game, and rests more squarely on the shoulders of the publisher who sets that beat I've talked so much about. The culmination of changes in Advanced Warfare make it the freshest playing entry in the series, and the largest departure from its norm. If you're a fan of the series, I'd say this is worth picking up. If you're new to the series, this is a good place to start. On the other hand, if you're not into the competitive multiplayer and are coming for the single-player campaign, I'd say wait for a price-drop. If you prefer open-world shooters rather than action-movie, linear campaigns I'd say hold off entirely. Call of Duty is not for you. Sledgehammer Games have taken a huge risk by sending the series so far into the future. Some fans may feel left behind, but the simple truth is should they choose to ignore the title, they will be missing out. This is one of the better Call of Duties in recent years. It's fresh enough to the point that it's alien, yet it's still Call of Duty underneath that futuristic surface. Call of Duty: Advanced Warfare adds new life with movement and graphics, but falls short on sound design and story. Despite a few pulled punches this is the best Call Of Duty has been in years, and the multiplayer in particular is the most innovative since Modern Warfare began. Advanced Warfare's increased focus on player mobility makes a huge impact that freshens up the action and, in some ways, makes every other game in the franchise feel obsolete by comparison. Call of Duty: Advanced Warfare breathes new life back into the franchise with a greatly rewarding progression system and fantastic take on player movement. The fun but painfully predictable story glens some enjoyment courtesy of Kevin Spacey's ability to be an awesome jerk in any role that he plays. Mixing futuristic tech with established fundamentals, Sledgehammer has created the first truly impressive Call of Duty in years. Call of Duty: Advanced Warfare is a great action game, full of high tension moments and brilliant gameplay. It refreshes the old formula sufficiently to keep it interesting - but doesn't do enough to become something special in its own right. It's a lot of fun to play, but with a short campaign, uneven story, and by playing things a little too safe, it's not quite as advanced as it claims to be. Call of Duty: Advanced Warfare ticks all the boxes you'd expected from a title in the series, righting the wrongs of Ghosts' trudging campaign and lackadaisical multiplayer, delivering a set-piece laden showcase that succeeds in becoming an awe-inspiring sight. It's big, it's brash, it's bold, but it's certainly not clever. The core functionality of Advanced Warfare is as great as ever, but the questions will always be raised as to whether the series has changed enough to warrant a purchase. CoD: AW is a baby step in the right direction, and you'll likely get weeks if not months of play out of it, but those still tired of the Call of Duty formula would do well to stay away. Call of Duty: Advanced Warfare drops its pretense of modern conflict and jumps into full sci-fi futurism, much to the series' benefit. Call of Duty: Advanced Warfare plays it a little too safe with the campaign, but it feels like a real core entry in the series, and will please fans who are jaded after last year's release. While Treyarch is still the king of Call of Duty in my eyes, Sledgehammer Games has shown itself to be more than capable of taking over with its debut entry. Infinity Ward is now the odd man out. Call of Duty Advanced Warfare's battles are absolutely ridiculous. But, they sure are fun! While by no means, a 'Game of the Year' contender as a whole, it is a must purchase and will serve, hopefully, as a template to be refined over this generation of gaming. The increased mobility and abilities really open up the gameplay and I now cannot imagine future Call of Duty titles not having these fun additions. This is the first Call of Duty game in years that I really don't have any issues recommending at full price, though you can easily find it on sale at a few retailers already if you keep a look out. Sledgehammer Games entered into the Call of Duty franchise with guns blazing. I just hope they can keep that strong momentum going with their future releases. Call of Duty: Advanced Warfare feels like a great shot in the arm for a series that was starting to get stale. By bringing in a new developer with its own talent and fresh ideas, Activision has succeeded in shaking up its biggest franchise. Call of Duty: Advanced Warfare is undeniably distinctive within the Call of Duty family. But it might take a game or two for Sledgehammer to start delivering on the same scale as its sibling studios. Call of Duty: Advanced Warfare achieves that delicate balance of providing something fresh, without diminishing the game's historical appeal. With the imminent release of Black Ops III, there's never been a better time to pick this up, as frugal gamers that might have previously been on the fence about pulling the trigger can now pick this up for a bargain price. Sledgehammer Games lays the groundwork for more futuristic Call of Duty games with a comprehensive multiplayer experience and a faulty but stimulating campaign. It's not revolutionary or redefining by any measure, but Call of Duty: Advanced Warfare is by far the series' most refreshing, progressive and exciting outing in a long time, and that's no small feat. Multiplayer feels wonderfully fresh, thanks to the added agility of Exo Suit boosting. Sadly, though, co-op is unimaginative, and the story fails to satisfy when compared to previous installments. So, 2014. Is this the year that the double-jump finally found its regular place in the first person shooter? It's certainly been the 'in thing' this year, as has a general boot up the arse of the FPS genre. How does COD stack up against Destiny and Titanfall though? Ignore the internet trolls, posers and haters, you can enjoy them all. In this reviewer's eyes though, Call of Duty: Advanced Warfare has been the complete package. A star filled, explosion-packed blockbuster smash of a campaign mode with a set of stellar multiplayer modes where Kill Confirmed and the new ball-based sport, Uplink, are set to become new favourites. Both the campaign and multiplayer owe a huge debt to the exoskeleton, which has proven to be the ultimate catalyst in pushing Call of Duty back to the top this year. Your move, Far Cry 4. Punchy, futuristic weapons, even faster gameplay, and additional agility make Call of Duty: Advanced Warfare a joy to play, both offline and online. With a campaign that features several spectacular scenarios and a brilliantly robust and incredibly moreish multiplayer offering, Sledgehammer Games has succeeded in crafting a title that feels fresh but familiar, and does just enough to put the franchise back on track after the disappointing Call of Duty: Ghosts. Sledgehammer Games finds freshness in familiar territory, delivering the best Call of Duty game in years. Sledgehammer Games hasn't reinvented the first-person shooter franchise, but it does give it a shot of adrenaline, making Call of Duty: Advanced Warfare one of the fastest, freshest and most thrilling entries yet. As someone who's been burnt out on the series for the past few years I couldn't get into MW3, BO2, or Ghosts but Advanced Warfare finally got me back into the series. The jetpack is such a game changer for me I honestly want nothing to do with the next games in the series if they don't have something similar. 'Call of Duty: Advanced Warfare' doesn't change the franchise's identity, but its near future setting and tech help make the component parts exciting again. Despite a multi-player mode that's difficult to love and a pretty atrocious story, Call of Duty Advanced Warfare pleasantly surprised. It adds enough to the core of the game – the infantry action and gun-play – that the campaign never felt like a chore and none of the set pieces and vehicles outstayed their welcome. A new engine and new ideas breath new life into a series that was in serious danger of turning stale. Call of Duty: Advanced Warfare represents a return to form for the franchise. While the campaign likely won't win story of the year, we don't expect it to. A solid campaign that teaches the basics, and tells a competent story are all we ask, and exactly what we got. Multiplayer is of course a big deal, and Sledgehammer proves they are not only up to the task, but in to innovate the space, as the Exo additions, supply drops, and operator customization will keep this Call of Duty on your hard drive for a while. Let's be honest here too. In a world full of jump packs and laser guns with drones zipping around overhead, its actually hard not to enjoy Sledgehammers latest entry into the series without a smile stretched across your face. As a complete package, Advanced Warfare was a really good installment into the Call of Duty series. The story was gripping and incredibly dramatic. Filled with action from start to finish with strong voice acting, beautiful cut scenes, flawless controls and really cool weapons. The campaign is one of the best in the series. The multiplayer also delivers a lot of entertainment, but it feels like the game has been mutated too much. The developer has gone too far trying to balance all of the weapons, perks and kill streaks to the point where there is no real advantage to using anything anymore. There is a lot of entertainment to be had online, but it isn’t as fun as it has been in past games. This is Call of Duty coming to terms with itself—pushing and pulling between social responsibility and the joy of instinctual, itchy trigger-fingered chaos. Not since Modern Warfare has an entry to the series felt much more than casually disinterested in humanity. Call of Duty Warfare Infinite comes to the market with a lot of content, but little that is truly innovative. The campaign goes smoothly and lasts six hours, with no major twists. Specialist, perhaps, is the most interesting element of the mode and seems deliberately hidden and not valued properly. Jackal and Zero-G are interesting, but also have little space in the game. As for the multiplayer, there are new classes and the introduction of the crafting and "Mission Teams", of great interest for a greater involvement in the progression of the character, partially fails to evolve the game mechanics and gunplay. Zombies in Spaceland has no real problems but, apart from the madness of the situation and the many easter eggs, it repeats more or less the same concept of the series. In summary, a solid product that doesn't dare, but perhaps it should. Because the contents are so many and not bad, but the fun is sometimes hard to come by. The campaign is predictable, dumb fun, and the multiplayer is some of Call of Duty's best—but still subject to every existing criticism of CoD. But as someone who deeply cares about narrative in game, it's immensely frustrating to see the money that Activition is clearly throwing at the narrative not bearing fruit. People tell me that narrative isn't important to Call of Duty, but if that's the case then Activision should not be investing in Kevin Spacey, and should simply pull the plug on single player and invest solely in multiplayer gaming. More than anything else I do believe that if you're going to do a story, you should do it properly. There's the world of potential in Call of Duty franchise to be the games industry's take on The Hurt Locker, so yes, is does annoy me that Activision seems to be more interested in generating endless clones of Black Hawk Down. 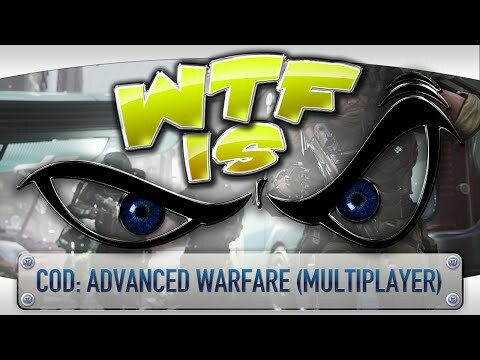 Is Call of Duty: Advanced Warfare more of the same? It depends on how you look at it. Those who are burnt out on the series won’t be magically converted to the church of Call of Duty with this game, but those who are loyal to the series will no doubt enjoy the new tweaks the future has in store. Advanced Warfare isn't the game to answer those questions. Much like the soldiers that populate its fiction, what strengths it has come from the technology bolted to the surface while what's inside looks more fragile and vulnerable than ever. Advanced Warfare might not be advanced enough for my liking, but it's a return to the typical fast-paced, explosive gameplay of CoD titles that aren't called Ghosts – and it works alright on PC, too. With Advanced Warfare, Sledgehammer Games has proven that it can stand on its own legs when developing a Call of Duty title. The game introduces some new and fun concepts, and is a step in the right direction. The game has made leaps forward in a lot of departements, but there are still ways to go when it comes to software design. Ultimately Advanced Warfare is a great title worth playing, but a troubled one none the less. Tasked with leading Call of Duty into the next generation, Sledgehammer Games is off to a cautious start. 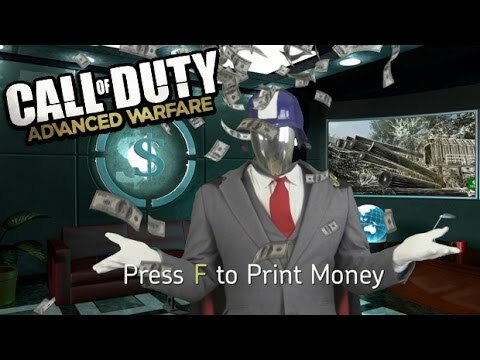 Advanced Warfare executes the formula competently while adding a handful of bells and whistles like mechs, laser cannons, and double jumps; but Sledgehammer Games seems reluctant to really cut loose and push the setting to its fullest potential, making Advanced Warfare a solid but ultimately unexciting entry in the series. In the end, whether you're a diehard fan who plays Call of Duty or a disgruntled one who hasn't played it in a while, then you'll probably find a lot to like with Advanced Warfare's multiplayer that warrants a purchase, but with expectations becoming exceptionally high for triple A gaming these days, Activision's reliance on an 11 year old formula is doomed to inevitable failure. Advanced Warfare brings some new elements to the experience that make it stand out, but some of these changes only serve to remind us how rigid the Call of Duty box is, and how unwilling the franchise is to think outside it. Call of Duty: Advanced Warfare is the video game equivalent of a Michael Bay movie. There's a lot of flash and not much substance. If you just want explosions and spectacle (and don't mind being penalized in multiplayer for having a fast connection), then grab the disc and pop it into your console because Advanced Warfare delivers those in spades. Even with the Exo Suit, the campaign is more derivative than any previous Call of Duty game. The multiplayer action is frenetic, but various shortcomings prevent it being a leap forward. Call of Duty: Advanced Warfare upholds the status quo and aims no higher than that. Its sci-fi trappings are but shallow appeals to progress, and while the multiplayer is still able to provide some entertainment, the CoD formula feels anything but "advanced" these days. Advanced Warfare introduces exoskeletons, laser guns, and double-jumps to the Call of Duty franchise, but the online lag, odd animation, and overall sameness that comes from annual releases prevent the game from living up to its potential. Call of Duty doesn't just return to its explosive roots here; it manages to create a new metaphor for the American bang-bang shooter consumers who continue to drive sales of both it and other major franchises. Rather than a snake simply requesting players not tread on it, it is the snake eating itself. Games are better than this now. Call of Duty is becoming a relic.